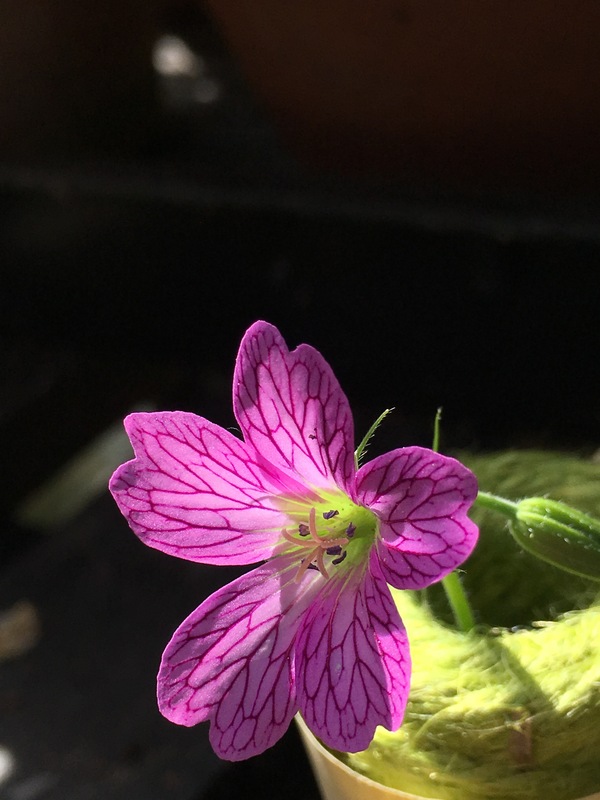 Geranium oxonianum seedling. A good weed smothering variety. Flowers all summer. And mounds of foliage make a perfect home for hedgehogs in the winter. We often find hedgehogs rolled up in a pile of dried leaves, tucked in amongst the geraniums. And there they stay until spring. Thank you. They are all slightly different as they have spread around the garden by seed. I’ve enjoyed searching out for the most unusual ones today and comparing them. A nice thing to do on a summer’s afternoon. It was time well spent, I must say, Karen! What a beautiful image! Well done! In a Vase on Monday…..or Wednesday.